In the ever-expanding world of video games, 2018 is already off to a great start. In January we saw titles such as Monster Hunter: World and Dragon Ball Fighter Z arrive on PS4 and Xbox One consoles. February brought us the much-anticipated re-release of the beautifully remastered Shadow of The Colossus and the controversial Metal Gear Survive. Now as we make our way through March there are several game releases you should be aware of. Some are new franchises and some remastered versions of old friends but they all will provide you with hours of entertaining gameplay. If you are playing Monster Hunter: World you are probably familiar with another time-tested Capcom franchise, Devil May Cry. The franchise is loosely based on the poem by Divine Comedy by the Italian poet, Dante Alighieri, who lends his name to the games lead character, Dante. The game’s story follows Dante as he attempts to hack and slash Demons into oblivion in the hopes of avenging his mother’s death. 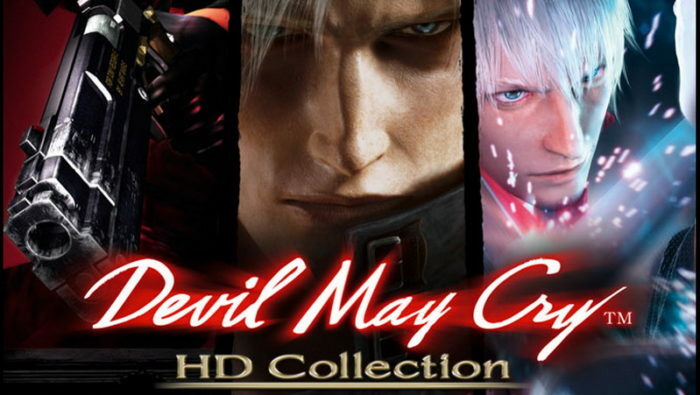 Originally released in 2001, the high definition release includes Devil May Cry, Devil May Cry 2 and Devil May Cry 3: Dante’s Awakening Special Edition. If you are a Twitch Prime user (or have an Amazon Prime account) and play on PC you can already access this new release. For those wishing to replay or explore the world for the first time on PS4 and Xbox One will have to wait until March 13. Electronic Arts (EA) has finally let Criterion Games take a break from the Need for Speed franchise and focus back on their baby, Burnout. The 2008, critically acclaimed Open World racing game will be released in collaboration with Stelar Entertainment Software based out of the U.K. and will feature all 8 DLC’s from past years. The Remastered collection of games will play at 4k and 60 fps and should be released on PS4 pro and Xbox One X consoles on March 16. EA is expected to announce a PC release in the near future. Till then you can race through hectic downtown metropolises or through dangerous mountain passes on your favorite console. Just don’t chip the paint. Coming to you from the talented team at Hazelight in Sweden, A Way Out is published by Electronic Arts and promises to be the co-op adventure you have been waiting for. Built to be played split screen, either online or locally, the game follows to inmates as they attempt to escape from a high-security prison. And too be honest, who hasn’t wanted to try to do that before? Cooperation in this third-person, action adventure game is an absolute must. Grab a friend and work together to distract guards, find tools, and plot your escape. The visually striking and compelling story is directed by Josef Fares who is also known for Brothers: A Tale of Two Sons. A Way Out will be available March 16 on PC, PS4, and Xbox One. The Team at Ubisoft is at it again. Not only are they in the midst of a Rainbow Six Event: Operation Chimera, they are also gearing up for the release of the franchises fifth true title, excluding spinoffs, of which there are many. Set in the wilds of Montana, Far Cry 5 pits players up against an aggressive religious cult, Eden’s Gate, occupying the beautiful countryside of fictional, Hope County. Along with the help of locals, you will liberate Outposts and return the land back to the good people of Montana. Far Cry 5 brings with it a slew of improvements and new elements even the most seasoned gamer will be excited to explore and master. The team has already announced the first three expansions coming to the game. They will be based on experience in Vietnam, on Mars, and of course killing hordes of Zombies. Far Cry 5 will be availibe to play on March 27 on PS4, Xbox One and PC. There are many more titles coming to PS4, Xbox One and PC this year and we will continue to keep you informed and up to date on all the best series to take a look at. Will Artificial Intelligence Enhance or Hamper our Spirituality?